Yesterday we wrote up our WWE Royal Rumble 2016 Betting Tips. There is a lot more to the Rumble and betting than just the matches themselves though. Over the last year a lot of sportsbooks have added prop bets – special bets outside of the match results and there are a ton of them. We thought we would highlight many of them and then provide our advice for each one. What: Winner of the Rumble is their first time winning it. Where: At http://www.5Dimes.com for +600 odds. Thoughts: With Reigns and HHH both won it before – it makes it very tricky. We’ll probably place a small bet on that to cheer on anyone other than those two. What: Mysterios Longest Ring Time Record Broken. Thoughts: If Reigns is going all the way then there’s a good opportunity for this to broken. I’m going to stay away from it though. One of my favourite memories in wrestling was Awesome vs Tanaka vs Taz where Taz got eliminated first meaning there would be a new champion for sure. That was such an epic moment and I’ll silently wish for that to happen. What: There are a whole bunch of these and they are in groups. 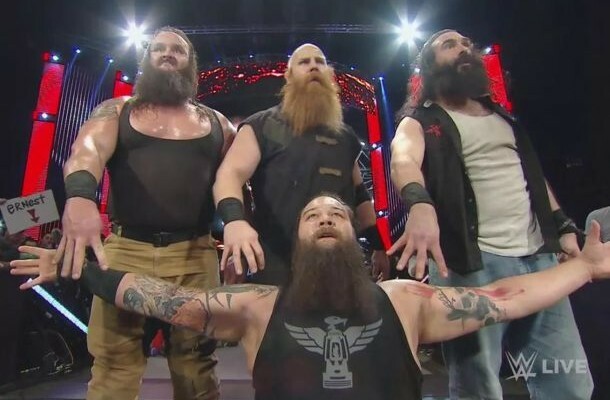 Which one of the Wyatt Family will have the best finishing position? Which one of the social outcasts? Which one of the indie wrestlers? Thoughts: For the Wyatts, Braun Strowman is a decent price at 5/1. While Wyatt is expected to go long Strowman is a beast and we’d say his true odds are more like 3/1. For the League of Nations it’s a bit of a crap shoot – Sheamus probably as they like to keep him strong at 7/5. When it comes to the social outcasts after his history last year, Curtis Axel is a good bet this year. 7/2 odds there as he either goes out in hilarious fashion immediately or they have some running joke with him. The one we really like is Kevin Owens 9/2 for the indies. He’s the only one confirmed in thus far and we can easily see him being part of the final four. What: Same groups as above – but the first participant. So which of the Wyatts will enter first, social outcasts etc.